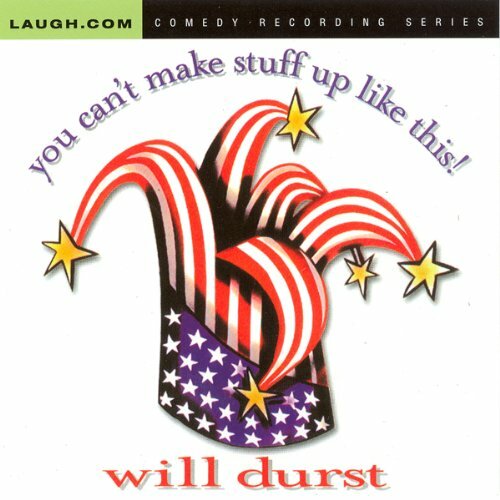 Showing results by author "Will Durst"
A political comedian can offer you all of his best material. 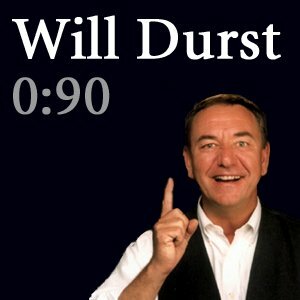 Such is the case with Will Durst in this live recording from Cobb's Comedy Club in San Francisco. His performance is brought to you courtesy of the First Amendment. In which our intrepid correspondent offers up a few suggestions to Ms. Clinton for her official campaign song, and no, "Highway to Hell" isn't one of them. In which our intrepid correspondent turns his gimlet eye towards professional basketball and the wonderment that is the oddly named Utah Jazz. 90, Free Speech Ain't Free. Oh Yeah, That's Right. It Is. In which our intrepid correspondent goes on and on and on about limits on free speech. And guess what? He's against them. In which our intrepid correspondent gets so confused by NASA's latest excuses that he perplexes himself. Admittedly, not all that hard to do. In which our intrepid correspondent performs an autopsy on the 43's 6th SOTU Address and declares the body to be DOA. In which our intrepid correspondent attempts to predict the color and substance of some of the mush destined to be thrown around tonight. In which our intrepid correspondent comments on our President's unique talent for attracting attention even when he's not all that interested in it. In which our intrepid correspondent takes issue with the NFL's lawyers who are attempting to secure superfluous trademark protection. In which our intrepid correspondent reveals deep buried longings and imagines some of the nasty possible consequences at the same time. In which our intrepid correspondent takes on the impossible task, because it may not be a pretty job  but someone's got to do it. This is a complete, unexpurgated presentation recorded for XM Radio at the DC Improv. 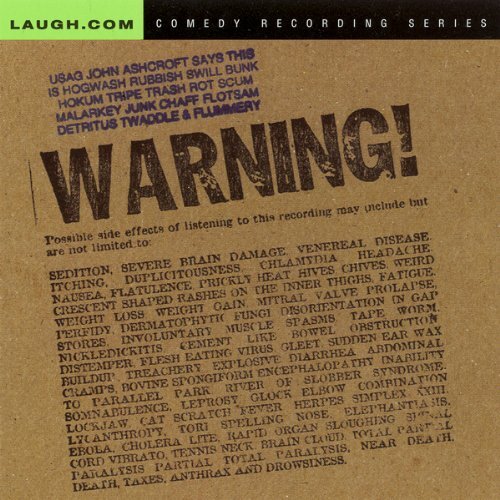 Possible side effects of listening to this recording may include but are not limited to: SEDITION, SEVERE BRAIN DAMAGE, PARALYSIS, PARTIAL AND TOTAL PARALYSIS, NEAR DEATH, DEATH, TAXES, ANTHRAX EXPOSURE. Dangerous incompetents on the Right. Waffling wimps on the Left. And only one brave comedian stands between them: Will Durst. 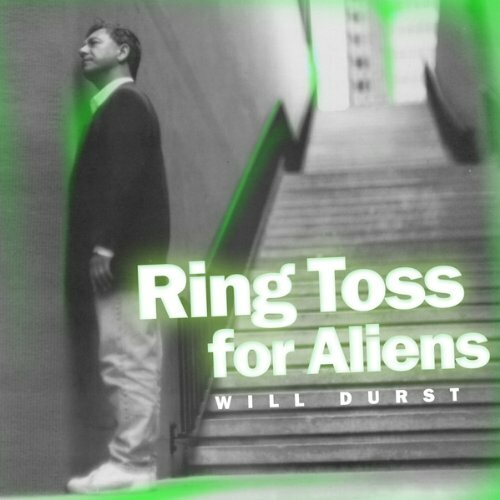 In Ring Toss for Aliens, Will valiantly leads his one-comic campaign to make the world safe for satire. And pity those who fall prey to his barbed wit. In which our intrepid correspondent makes light of the perception problems facing the GOP in recent months. And he so enjoys doing it. He goes long. In which our intrepid correspondent once again - and how tiring has this become - rails against the administration for the appearance of a lack of moral leadership. But who is he, Mr. Passed Out in His Clothes Again, to judge? In which our intrepid correspondent voices his disappointment that the media attack deluge directed at talk show host Don Imus stopped right after he was fired. In which our intrepid correspondent finally stands up on his hind legs and rebukes the Breck Girl for his two Americas- those that barricade themselves from the press in hotel bathrooms and those that don't. In which our intrepid correspondent castigates the Democrats for not being able to stir any movement across the aisle with an issue larger than Montana. In which our intrepid correspondent tries to follow the breadcrumbs of a certain U.S. Senator from Idaho, but gets lost somewhere around the North Dakota border. I know, you're shocked. In which our intrepid correspondent is determined to greet 2007 by coming up with a list of resolutions he is confident he can keep.